Maritime Craft Services (Clyde) Ltd are happy to receive CVs especially from experienced Masters, Mates and AB/Deckhands. We offer highly attractive terms and conditions, and we are fully committed to supporting training and development for our crew. We work a 1:1 pattern, which is typically 2 - 4 weeks on/off in the UK & Europe, and 6 weeks on/off if outwith Europe. If you are interested in working with us then please send your CV by email to recruitment@maritimecraft.co.uk Our HR department will review your CV for recruitment purposes only. When you submit your application please ensure that you state that you consent to us reviewing your CV and keeping it on file for recruitment purposes for up to one year. Due to the high volume of applications we receive it is not possible to reply to every application individually, however, we will contact you should a suitable position arise. 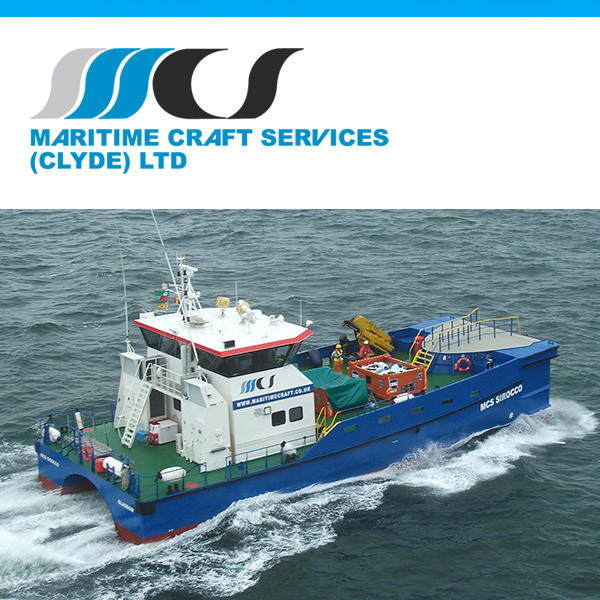 Thank you for your interest in Maritime Craft Services (Clyde) Ltd.